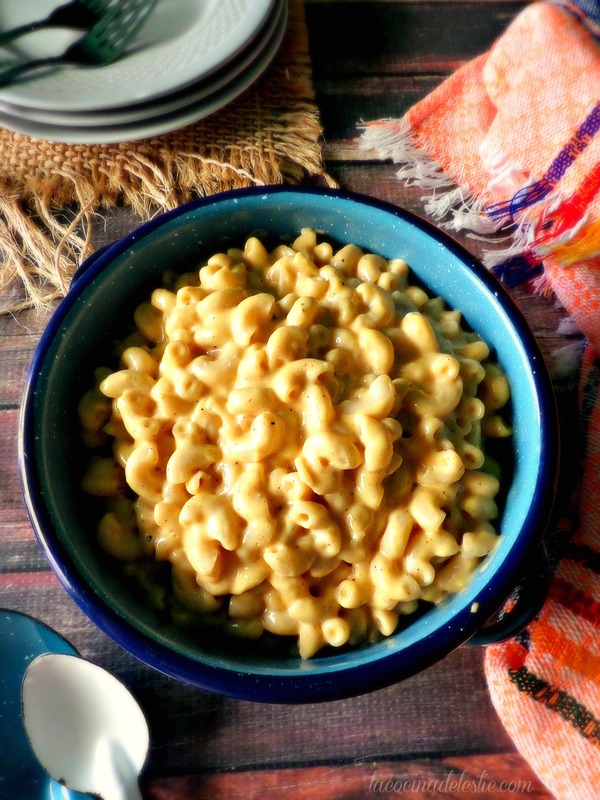 I first learned about #SundaySupper several months ago, through my good friend Girlichef. #SundaySupper just sounded like something I wanted to be involved in, because I grew up eating dinner every day at the family table with my grandparents, and continue to do so with my hubby and four kiddies every day for lunch. And we really do have Sunday supper every Sunday with my father-in-law, Hubby's siblings and their families. Anyway...to celebrate #SundaySuppers turning a year old, our theme this week is to cook something that has already been featured on #SundaySupper, by one of our fellow contributors. There have been so many mouth-watering recipes shared in the last 12 months of #SundaySupper, that it could have been a really difficult decision to narrow the choice down to just one. But thankfully that wasn't the case for me. I fell in love with this recipe as soon as I saw it posted on Juanita's Cocina just a few months ago for the #SundaySupper Autumn Apple Party...Cinnamon Apple Chimichangas. Oh my! As beautiful as they looked, and as delicious as I imagined them to be, what really drew me to this recipe was that it looked like something my grandpa would have made. He loved apple desserts, and passed that love on to me. 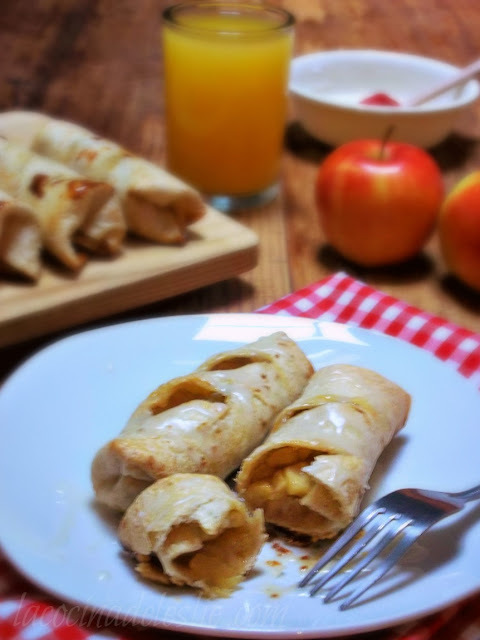 When I first made Jen's Cinnamon Apple Chimichangas, I couldn't get over how delicious they were, from the warm, cinnamon spiced apple filling to the golden, crisp flour tortilla. (Sigh!) They reminded me of the fried apple pies you could get at McDonald's way back in the day, except these were SO much better! But Hubby said they reminded him of Toaster Strudels. 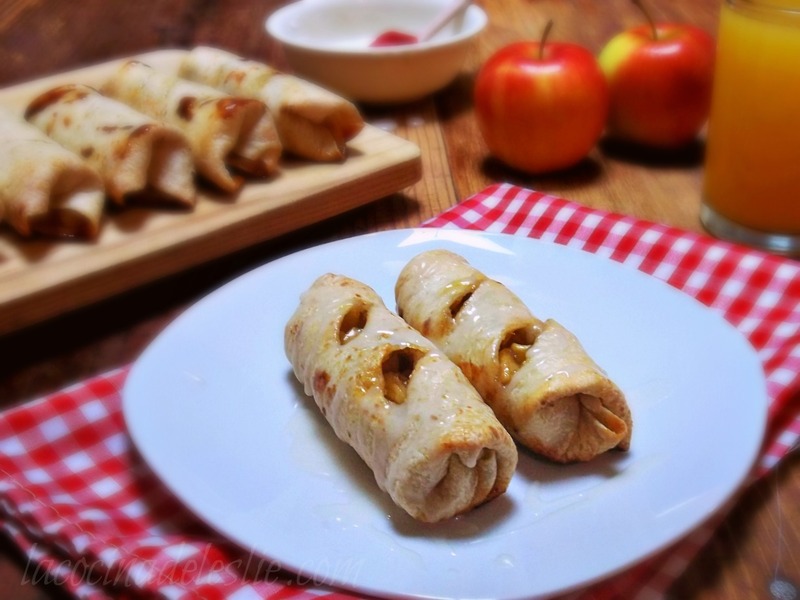 That got me to thinking that these would make fort a tasty breakfast treat and wondered if they could be baked, kind of like mini-apple strudels. The results were just as delicious and they've been a big hit in our house ever since. I now keep a container of unbaked apple chimichangas in the fridge at all times. I love that they're small enough that I can toss a couple of them into our little toaster oven, while I make my morning cup of coffee. Melt butter in a large skillet over medium heat. Add the apples, granulated sugar, and cinnamon to the skillet; mix to combine. Stir in lime juice. Cover and let cook over medium-low heat, stirring occasionally, until the apples are fully cooked. In a small bowl, combine the water and cornstarch. 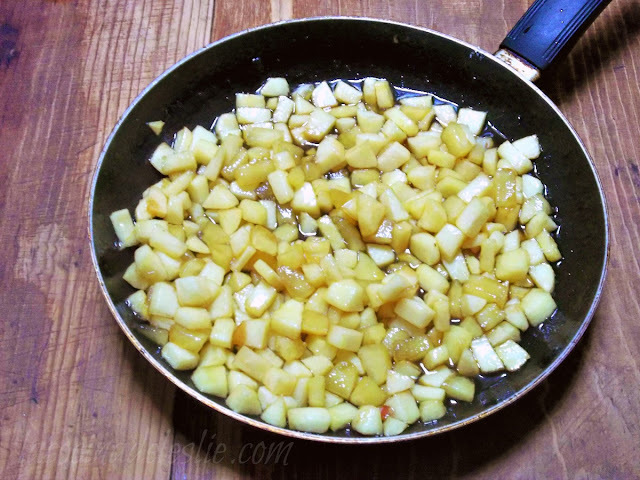 Pour into the apple mixture and let cook for about a minute or until the juice from the apples has thickened slightly. Remove from heat and let cool to room temperature. Preheat oven to 350F. 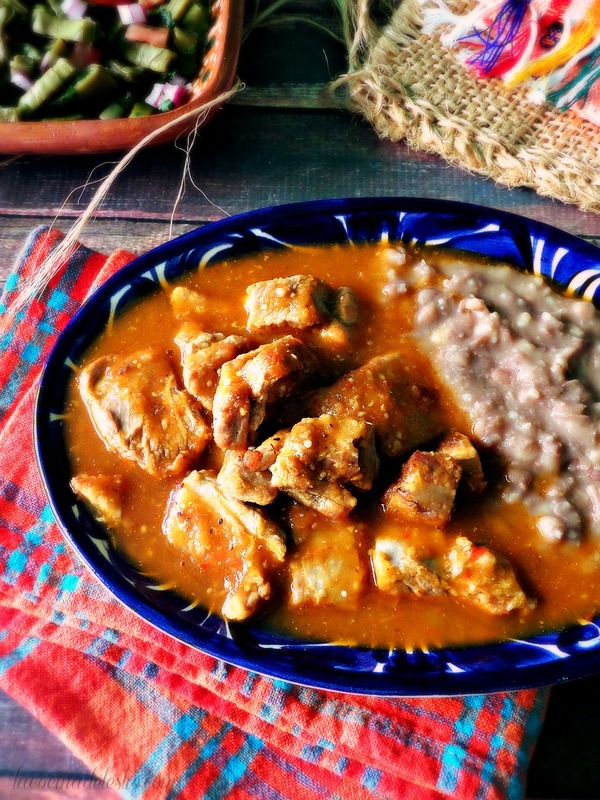 Heat the flour tortillas on a comal or skillet over medium heat until soft and pliable. Spoon two tablespoonfuls of apple filling into center of each tortilla. 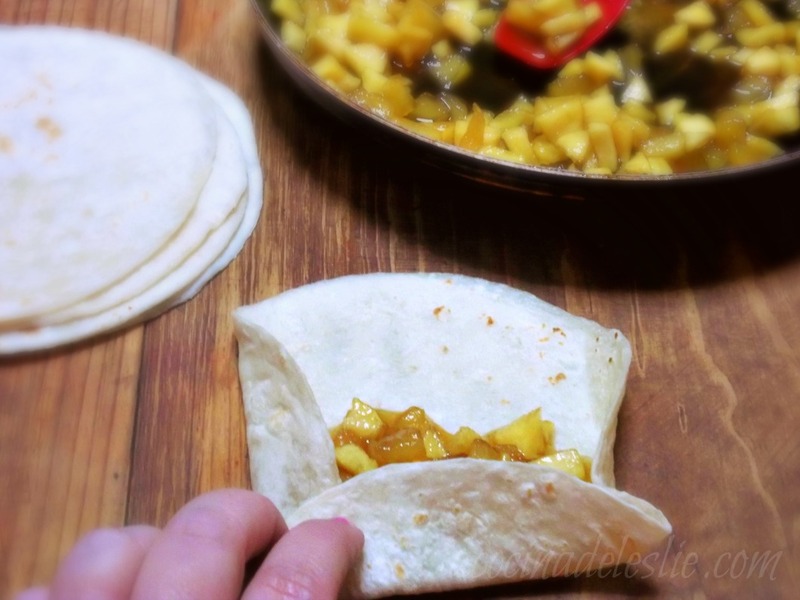 Fold in the sides to seal in the filling, and roll up the tortilla like you would a burrito. Place seam side down on a lightly greased baking sheet. With the tip of a very sharp knife, carefully cut 2 or 3 diagonal slits on top of each chimichanga. Bake at 350 for 12 to 15 minutes, or until the chimichangas are light golden brown and crisp to the touch. Stir together the 1/2 cup of powdered sugar with the tablespoon of milk, until well combined. If too thick, add a little more milk, until desired consistency. Drizzle the glaze over the chimichangas. Enjoy!!! 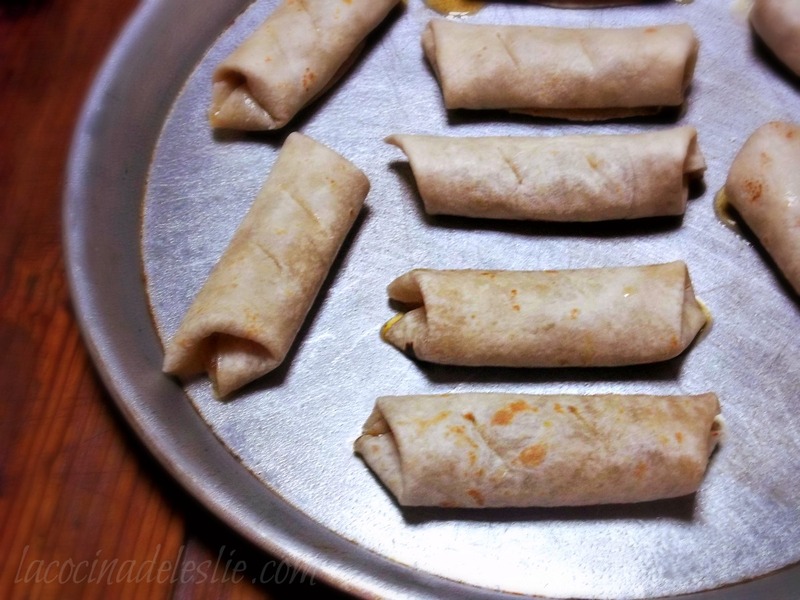 I've made these using wonton wrappers, but flour tortillas would be easier and probably better. 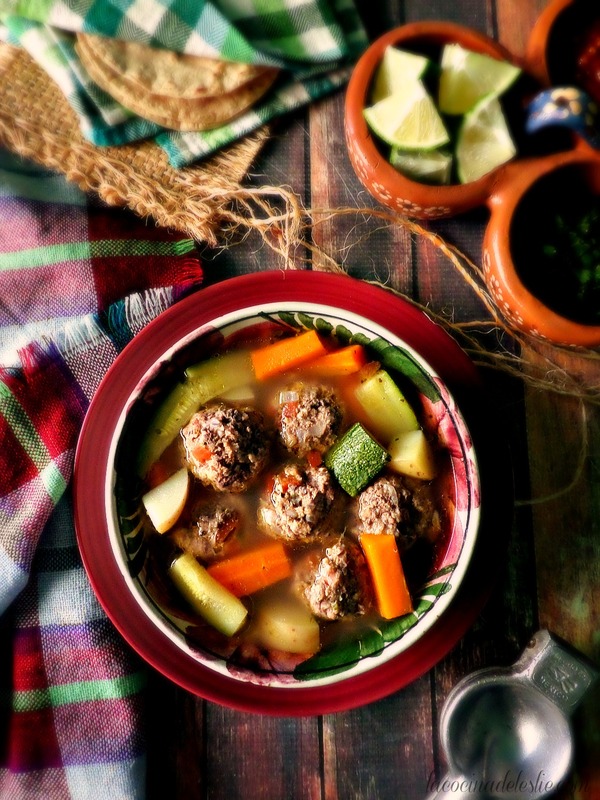 Thanks for the recipe and the lovely roundup. 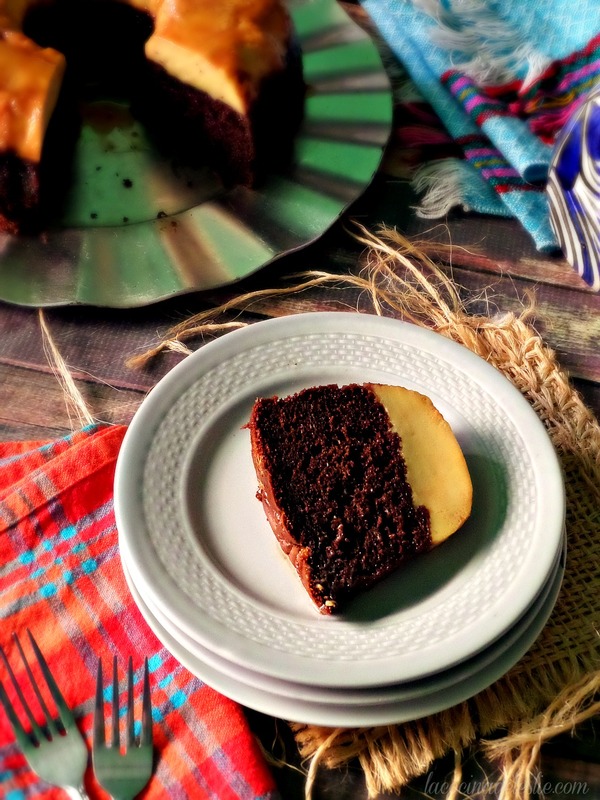 I LOVE that you made this, and that you've made a baked version, and that they've become a family favorite! <3 My heart is singing. 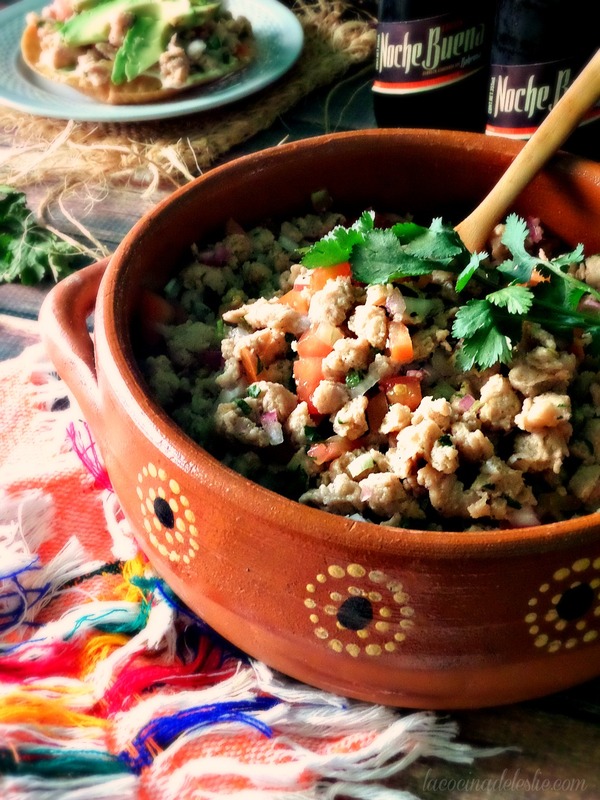 This is literally my favorite recipe on my blog! What a wonderful little dessert!! 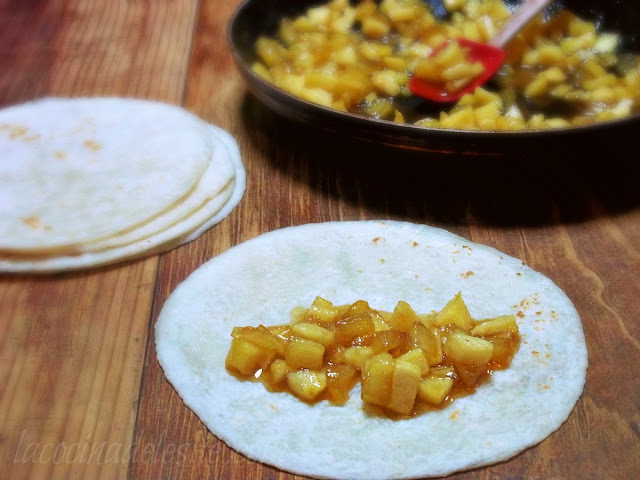 I love cooked apples and I never thought of using a tortilla shell! Love it!! Love these so much!! My daughter would have these gone in no time flat!! These sound so incredible!! These would disappear way too quickly around me! How fun for a party! These are on my bucket list of SS recipes, and I thought of the same apple pies when I read about them! It was probably my first time in the US when I was a kid. I will definitely make them now, they sound amazing! Brilliant idea to make them ahead and keep them on hand to bake in the toaster oven. Just brilliant. Plus it is like a Mexican version of German Apple Strudel. 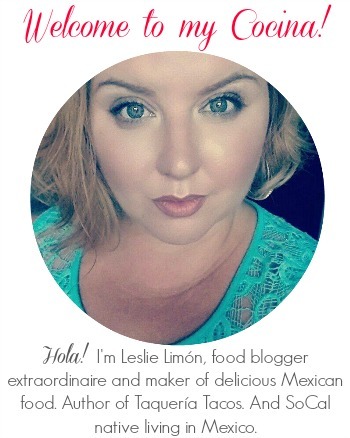 Leslie, You have hooked me with magical words "better than McDonald's apple pies" & "Toaster Strudel." Looking forward to my own apply, cinnamony bites of heaven! These do look so good. Ever since Jen posted them I have thought about making them. I'm pretty sure I have to give it a shot now. Oh I remember this one from Jen! 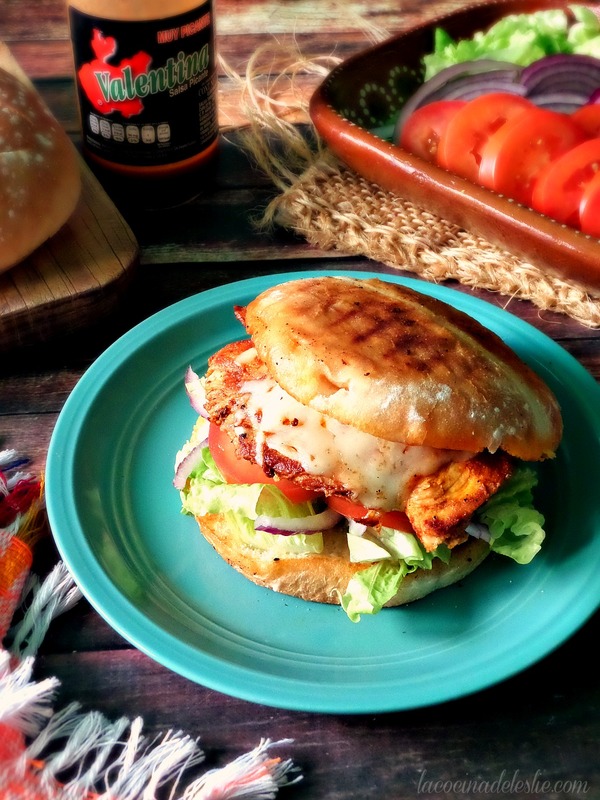 !I was drooling then and I'm drooling now :) Have to make this ASAP!!!!! Wish I had this for dessert! since it has apples, I could totally call this breakfast right?!? haha I love them! 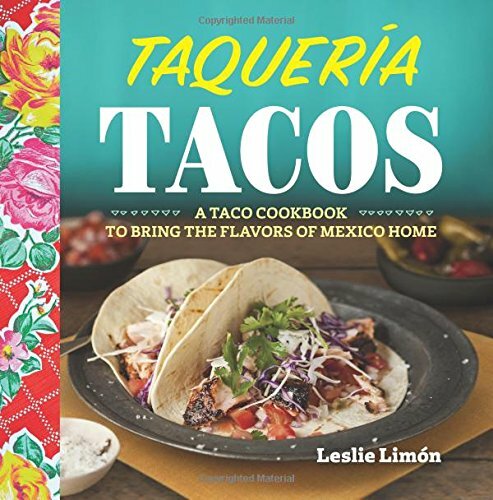 Leslie, I love that you and your family still eat together every day. I think it's so important to keep that tradition alive. And these chimichangas looks absolutely delicious. What a fabulous idea to premake them and keep them in the fridge for whenever a craving hits. 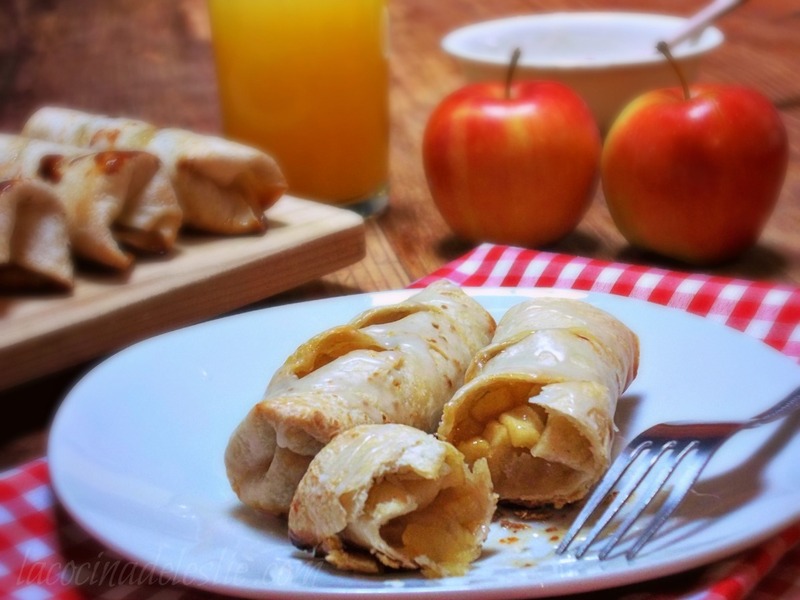 My husband would love these - apple desserts are his favourite. Yum! I love any apple dessert and these sound amazing.